It may just be self-selection based on the kind of things I read, but there seems to be an ever growing interest in data in football and the subject appears to be moving away from the niche into the mainstream with increasing mentions in the press such as a recent article in The Guardian. 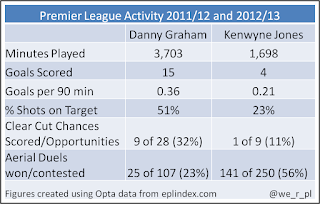 This is partly due to more and more sites making use of data in football, in particular from Opta. 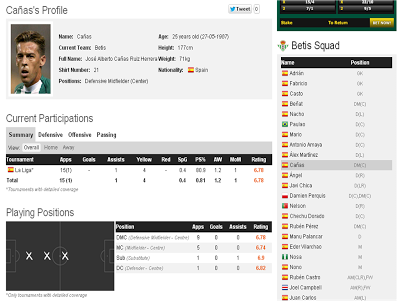 In this post I'll look at the pros/cons of a number of sites/apps that use Opta data and their comparative strengths and weaknesses. 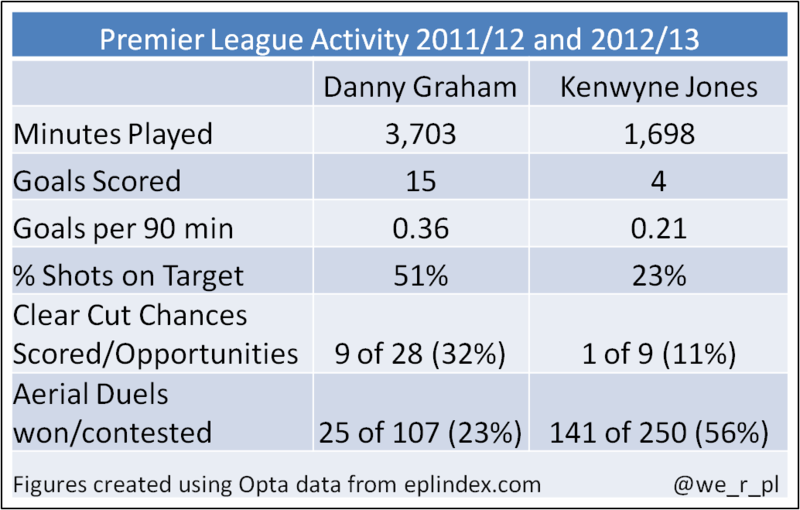 When Swansea City reached the Premier League with promotion in May 2011, I decided to set up the blog www.wearepremierleague.com to combine my interest in stats with that of the Swans. Generally speaking there is a paucity of (publicly available) data around activity in lower leagues - although credit must go to Ben Mayhew for his attempt to rectify this at Experimental 361. The level of detail publicly available for the top leagues in Europe however is still far beyond that in the Championship and below. When I started out, this was one of the few resources about and had the advantage of being free and web (not app) based. I won't go in to too much detail about it as its sadly no more (possibly ahead of its time?) but the thing I liked most about it was to be able to visualise the activity with regard to where on the pitch it took place. 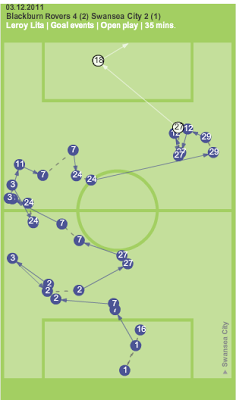 The image below shows a Swansea goal against Blackburn where every Swansea player touched the ball in the move. The demise of Guardian Chalkboards a couple of months into the season was the nudge I needed to get an iPod Touch to be able to use the Stats Zone app. 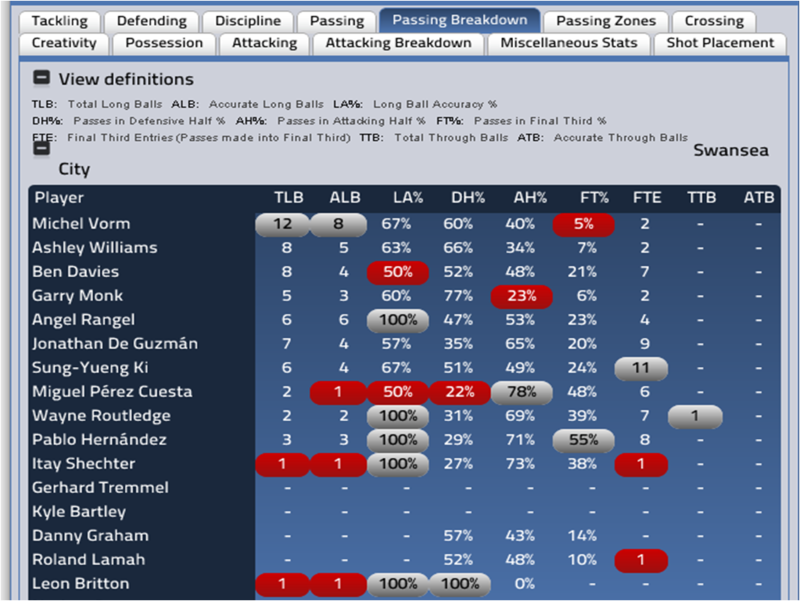 Stats Zone is great for both looking at the top level stats (e.g., Shots per Team) or delving in to the detail of a particular match (e.g., Long passes by a particular player). 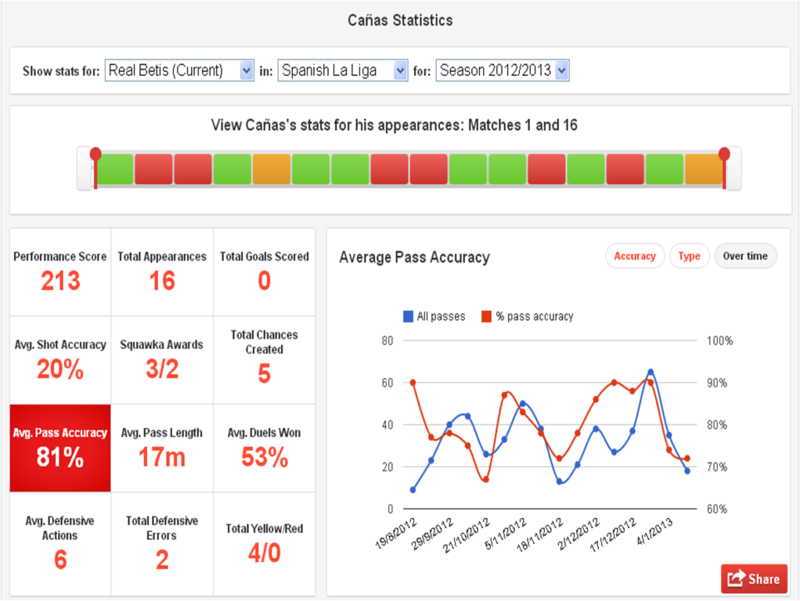 Stats Zone is produced in conjunction with FourFourTwo magazine and their website includes blogs produced by Opta and Zonal Marking and others. I combined my interest of football with that of data analysis in the creation of a Premier League Review dashboard, which is a interactive presentation taking a number of images from Stats Zone. WhoScored also has a fairly comprehensive list of stats for any particular match with the ability to order ascending/descending on these metrics for each played within a team (Long Balls, Chances Created etc,.) and also blogs from a number of respected writers. The level of detail available in the sites/app mentioned above will be enough for the majority of people but for those wanting even more, there is the pay-for site EPLIndex.com (£3.95 a month/£40 a year) which has even more detail. The level of detail of this data is pretty much the same as the release from Opta/Manchester City of the summary stats for the 2011/12 season, just not in a single spreadsheet. As well as the option of subscribing to stats, for those who just want to read about stats and football the site has an ever growing number of authors who use the data to write and publish their own analysis to a level of detail which is arguably a depth of analysis rarely seen anywhere. Although each of these companies is taking the same (or at least similar data) from Opta, it can be seen that they have each used it in different ways and are all still improving as time goes on. Eventually I'd imagine that one of these sites (or a newer entrant such as Sky) will bring all these parts together, possibly also including video for a complete experience. As an example, a lot has been made recently about David de Gea pushing balls back into dangerous areas when he makes a save, the raw data will only tell you so much but to be able to view all his saves or saves where there is a goal in subsequent 10 seconds would give an even more detailed picture. TV rights are far to precious to be given away but the ability to create your own highlights package (e.g., All chances created by Pablo Hernandez, with approx 10 seconds of footage per chance created) could take interactive entertainment to a new level.